J.C. Sherritt has announced he is retiring from professional football after spending eight years with the Edmonton Eskimos. “Just to get to call myself an Edmonton Eskimo for the rest of my life means a great deal,” he said. The Hyatt brand is returning to Edmonton with a new hotel in the former Enbridge Tower (the one on 102 Street with the peaked roof). 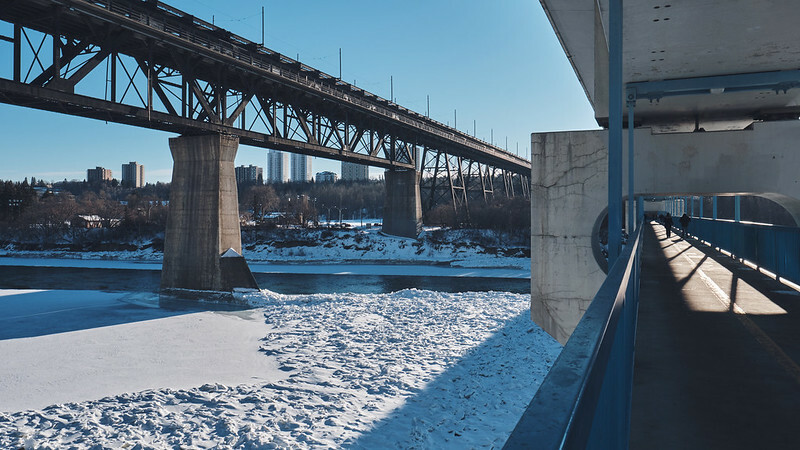 The suicide barriers that were installed on the High Level Bridge a few years ago are failing to prevent crisis calls according to a new Edmonton Police Commission report. “It’s very troubling that we still have these numbers,” said Councillor Scott McKeen. According to Environment Canada, the rest of the winter is likely to have above normal temperatures. Information sessions on upcoming Neighbourhood Renewal work are taking place over the next few weeks at Royal Gardens, Highlands, Alberta Avenue, Inglewood, and Strathcona. The Edmonton Arts Council anticipates adding 11 new public artworks to the City of Edmonton Public Art Collection in 2019, five of which are by Edmonton-based artists. From Linda Hoang: 10 Vietnamese Edmonton Entrepreneurs Worth Following. Episode 21 of Speaking Municipally covers the bike share, calcium chloride, and everything else that City Council was discussing this past week. The latest Council Roundup has everything you need to know about the week ahead. Chinatown Dining Week continues until January 27 with 8 participating restaurants! Here’s a feature on Chef Fuqing Qin who makes hand-pulled noodles at his restaurant Fuqing Lanzhou Noodles. Cybera presents The Nuts and Bolts of Data Science for Entrepreneurs on Tuesday at Startup Edmonton. The Oilers host the Red Wings on Tuesday evening at Rogers Place. Alberta Music is hosting Download YEG: The Art of Conversation on Tuesday evening at the ATB Branch for Arts and Culture. TEDxMacEwanU takes place on Wednesday at the Betty Andrews Recital Hall. The Edmonton Business Association is hosting its AGM & Luncheon on Wednesday at the Sawridge Inn with ATB Financial’s Todd Hirsch. Premier Rachel Notley is speaking at the Edmonton Chamber of Commerce luncheon on Thursday at The Westin Edmonton. 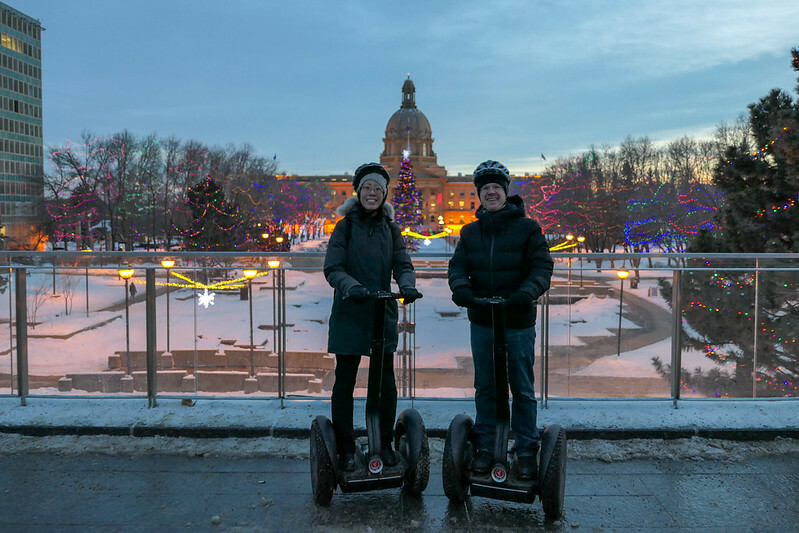 Ice on Whyte kicks off on Thursday! The Alberta Student Leadership Summit runs Friday to Saturday at the Students’ Union Building at the U of A.
Organic Alberta is hosting its annual central conference in Fort Saskatchewan from Friday to Saturday. The Edmonton Renovation Show takes place at the Edmonton EXPO Centre from Friday to Saturday. The Edmonton Pet Expo takes place Saturday and Sunday at the Edmonton EXPO Centre. EFCL is hosting Community Engagement 101 on Saturday at the EFCL offices. The Harlem Globetrotters are at Rogers Place on Saturday afternoon. The 5th annual South West Ski Fest takes place on Saturday in Blue Quill.